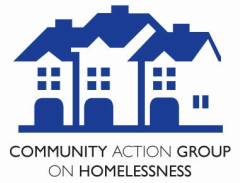 The Fredericton Street Survival Guide is a publication of the Community Action Group on Homelessness in partnership with St. Thomas University, School of Social Work students. This Guide was created as a one-stop resource guide for those experiencing, or at risk of, homelessness in Fredericton. It was created with the support of dedicated individuals with street life experience. The Guide is not a full list of all services available in Fredericton. The listing of an organization in this Guide does not indicate its endorsement, nor does the exclusion of an agency imply a lack of approval. Please let us know if there are services you would like to see added when the Guide is next updated. Contact CAGH Coordinator HERE. Under print options: Page Size and Handling click "booklet"